» Everybody Seems to Be Moving to Cities. Why? Everybody Seems to Be Moving to Cities. Why? In 1950 the world’s population was about 2.5 billion, with 746 million living in urban areas (about 30%); by 2014 the world population stood at 7.2 billion, with 3.9 billion (or 54%) in urban areas. By 2050, the world’s population will more than double to about 9.7 billion, with over 6 billion or close to 70% of the population living in urban areas globally. Much of that growth over the past several decades, and continuing into 2050, and beyond, is in Asia and Africa. The growth in size and density of cities often comes from people moving from small towns, villages or the countryside in search of jobs or economic opportunities, and perhaps some of the intensity offered by city life. These are typically people from the same country, with similar languages and culture. 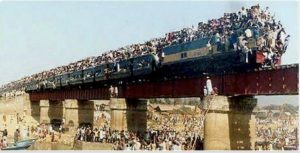 People from the Irish countryside moving to Dublin, and people from across India moving to Mumbai are examples. Of course the economic opportunities of the cities are relative to what the migrating people left behind: the poorer the farm or service jobs back home, the more attractive the cities become. But the life encountered in the big cities can be harsh, with very low paying, menial jobs. And living accommodations in the cities can range from very crowded living spaces to squalid slums. Density often varies according to income, and those with higher education seeking professional jobs fare better. 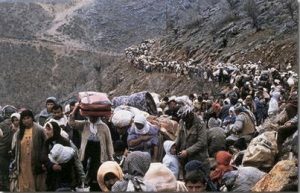 More recently there has been the influx to large cities in troubled countries of immigrants trying to escape horrible, raging war zones across the countryside. Or the at-risk populations flee to big cities in other countries seeking a safe haven and a chance to survive. They are often people from social-cultural-religious backgrounds that are very different from those in the “host” country. The on-going, intense conflict within European Union countries over immigration from the Middle East and Africa exemplifies this development. Soon there will be yet another category of people moving to big cities across the globe. 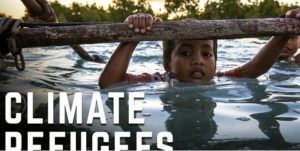 These will be the environmental refugees who will be trying to escape the disastrous impacts from climate change, including massive and frequent flooding, killing heat waves, drought, and other extreme weather events, as well as shortages of food resulting from the effects of climate change. In some cases, the people at risk will be from small low-lying island communities and countries and, presumably, they will try to relocate in nearby countries. In some countries citizens will suffer from extreme droughts in the countryside and head for large cities. In Brazil in 1915, and again in 1932-33, the government forced mass internment of peasants trying to reach a capital city, Fortaleza, because drought had destroyed their farms. The peasants were locked into camps with little food and unhealthy living conditions. Many died. In other cases, however, mega-cities themselves will be threatened with survival, especially those along water bodies. 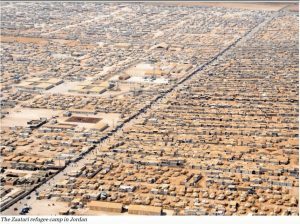 To the extent those cities do not have the economic resources and/or political will to prepare for or defend against the climate changes, then part or all of the multi-million populations of those cities will have to migrate to safer lands, away from the risks from climate change. Some may seek shelter inland of their country, but how would they survive there. What jobs would there be? What economy would even exist? What food would be available? Those who could not escape inland, or were prevented by authorities, would migrate elsewhere, somewhere not subject to the risks from climate change. Certainly large cities in the same country or in other countries would be attractive because of the economic and other resources available in cities. There are large, pressing questions about which cities will be at greatest risk from climate change, how many people from these at-risk places will have to move from what threats, and where else they will be able or allowed to go. Then the issues facing the current crisis with immigrants from Middle East and Africa war zones trying to flee to culturally, nationally and religiously distinct areas will be replayed on a global scale. National and international plans to adapt to climate change need to consider these pressing problems. “Urban Density” in iePEDIA section of irish environment magazine (March 2017). Demographia: World Urban Areas – 12th Annual Edition (April 2016). www.demographia.com/db-worldua.pdf The report applies a generally consistent definition to “built-up urban areas”. City Mayors Statistics, The largest cities in the world by land area, population and density: Ranked by population density: 1 to 125 (6 Jan 2007).